The Copyright Amendment Bill is an exceptionally complex piece of legislation and the Publishers’ Association of South Africa believes that there has not been nearly enough public consultation for it to be considered in its current form. 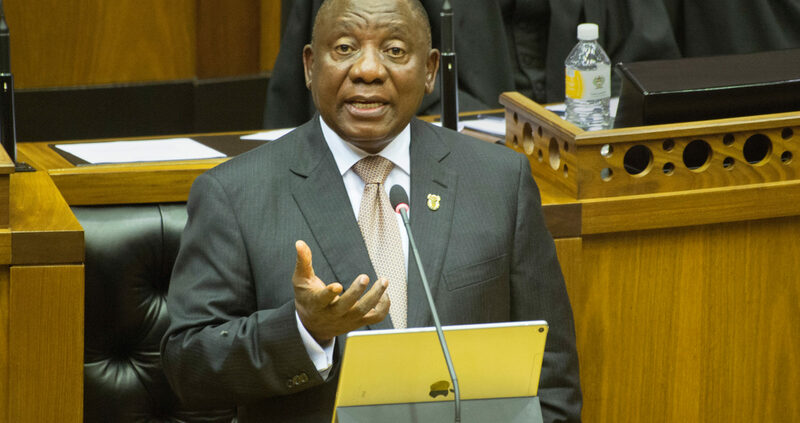 When President Cyril Ramaphosa presented his State of the Nation Address, he committed to mobilising investments of R1.2-trillion over the next five years, announcing bold targets to improve South Africa’s performance in the World Bank’s annual Doing Business Index from 82 to within the top 50 places in the next three years. But there is an elephant in the room. It’s highly unlikely that the President will be able to deliver on his commitment if he does not align his Cabinet colleagues behind steps to support policy coherence, a far more investment-friendly environment and significant steps to minimise any unintended consequences of the new legislation. The Copyright Amendment Bill is a case in point. The Bill has passed through the National Assembly and there is pressure to conclude the parliamentary process in the National Council of Provinces (NCOP) before the end of the current term. While we can appreciate the need to conclude as much as possible in the coming weeks, this can never be at the expense of due diligence and the duty of NCOP members to properly apply their minds. A rushed process raises concerns of a rubber-stamping exercise and directly compromises the reality of the President’s promises. The Copyright Amendment Bill is an exceptionally complex piece of legislation about which there has not been nearly enough impact assessment and public consultation for it to be considered in its current form. While the spirit of this Bill is admirable, if passed in its current form it could trigger significant unintended consequences, including job losses and disinvestment. More than this, it is unlikely that the Bill would deliver on its aim to benefit the creators of materials as a result of its overly extensive copyright exceptions and “fair use” provisions going far beyond the “limited circumstances” described in the Bill’s Explanatory Memorandum for not requiring permission to reproduce or adapt copyright works. Instead, these provisions will undermine copyright protection in South Africa and carry the very real risk of serious, if not irreparable, harm to the local publishing industry. As early as July 2017, the Publishers’ Association of South Africa produced an economic impact study in partnership with PwC. Already then, there were legitimate concerns that this Bill would have far-reaching negative effects on the economy, projecting an alarming 30% decline in employment in the publishing sector alone if the Bill were to be promulgated. A weighted average decline in sales of 33% (around R2.1-billion) with concomitant reductions in GDP, VAT and corporate tax revenues. An increase in the relative share of imports in domestic sales, and with this an effective “recolonisation” of the education publishing sector because it will no longer be viable to produce local textbooks and almost all of these materials will need to be imported. A weighted decline in employment of around 30% of full-time jobs in the sector alone. Besides the potentially devastating impact on the publishing sector, a lack of sufficient copyright protection should alarm everyone. It could directly and immediately destabilise efforts to attract investment and will contribute to the poor competitive rankings we already see as measured by the World Economic Forum (WEF). Mpuka Radinku is the Executive Director of the Publishers’ Association of South Africa.